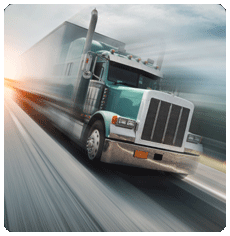 The FreightDATA Truckload Dispatch software package is an integrated full-featured enterprise software solution. The Truckload application includes Electronic Dispatch, Rating, Billing, Manifesting, A/R, A/P, G/L, Interlines, Management & Financial Reporting, Tracking & Tracing, Driver Management & Pay, Credit & Collections, Equipment Maintenance, Sales & Commissions, Statistics & History. Extented solutions may include Payroll, EDI, Imaging, Trip System, Warehousing and WebTracing. The FreightData System can also interface to other systems such as PC*Miler and 3rd party accounting systems. Drivers and trailers are dispatched as customer orders are called in. When the load has been completed all movement information is automatically moved over to billing. The freight movement is automatically rated, any delay (driver wait time) is entered at the time of billing or during dispatch and the charges are added to the original invoice. The status of all vehicles and drivers can be viewed at any time from the dispatch screens. The dispatcher can inquire about all loads going to a destination, all scheduled loads for a particular date, all loads assigned to a driver, or unassigned loads.Driver pay is computed and logged to a driver pay work file, which can then be passed to Payroll or Interline/Sub-haul payables. The driver pay can be based upon a percentage of revenue, miles driven, hourly rates, or a flat fee per movement. During the billing/rating process all accessorial, class, FAK, and miscellaneous charges are automatically computed and added to the freight bill. At the end of each business day the freight activity is posted to the General Ledger, Accounts Receivable and various statistical files. All information about any freight bill is available on any screen on the system. Activity reports are available for any selected time period in summary or detail for selective shippers, consignees, third party debtors or carriers.